NEW YORK TIMES BESTSELLER * The legendary biologist and bestselling author mounts a timely and passionate defense of science and clear thinking with this career-spanning collection of essays, including twenty pieces published in the United States for the first time. 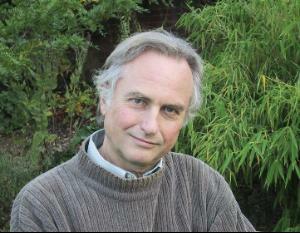 For decades, Richard Dawkins has been a brilliant scientific communicator, consistently illuminating the wonders of nature and attacking faulty logic. Science in the Soul brings together forty-two essays, polemics, and paeans - all written with Dawkins's characteristic erudition, remorseless wit, and unjaded awe of the natural world. Though it spans three decades, this book couldn't be more timely or more urgent. Elected officials have opened the floodgates to prejudices that have for half a century been unacceptable or at least undercover. In a passionate introduction, Dawkins calls on us to insist that reason take center stage and that gut feelings, even when they don't represent the stirred dark waters of xenophobia, misogyny, or other blind prejudice, should stay out of the voting booth. And in the essays themselves, newly annotated by the author, he investigates a number of issues, including the importance of empirical evidence, and decries bad science, religion in the schools, and climate-change deniers. Dawkins has equal ardor for "the sacred truth of nature" and renders here with typical virtuosity the glories and complexities of the natural world. Woven into an exploration of the vastness of geological time, for instance, is the peculiar history of the giant tortoises and the sea turtles - whose journeys between water and land tell us a deeper story about evolution. At this moment, when so many highly placed people still question the fact of evolution, Dawkins asks what Darwin would make of his own legacy - "a mixture of exhilaration and exasperation" - and celebrates science as possessing many of religion's virtues - "explanation, consolation, and uplift" - without its detriments of superstition and prejudice.